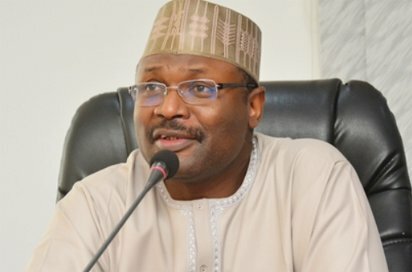 The Independent National Electoral Commission (INEC) chairman, Prof Mahmood Yakubu, has said that contrary to the directive President Muhammadu Buhari gave to the police and the military to shoot ballot box snatchers, culprits of electoral violence would be punished in accordance to the Electoral Act. Although Part VIII, Section 129 (sub IV) of the Electoral Act stipulates that anybody who snatches or destroys any election material shall be liable on conviction to 24 months imprisonment, President Muhammadu Buhari had revealed during an emergency national caucus meeting that he had ordered security agents to shoot on sight anyone caught in the act. Yakubu had equally reacted to the trending speculation on the invitation of the commission’s officials by the Department of State Services (DSS), the INEC chairman dismissed such arrest. “No commissioner of the commission was picked up by any security agency. No house of any commissioner of the commission was raided. No commissioner of INEC has been picked up by the security agents. The particular commissioner you are referring to as mentioned in the social media is, as we speak, in his office in the commission. Similarly, no director was picked up by any security agency,” he insisted. While giving an update on the readiness of the commission for the poll, he said: “Let me, therefore, present to you the level of implementation so far achieved. By Monday evening, all issues relating to the delivery of the materials were identified and virtually addressed. Ballot papers, result sheets and a host of non-sensitive materials are now in location across the 37 states of the federation and the Federal Capital Territory (PCT). “Our state offices commenced the process of inviting stakeholders to the Central Bank of Nigeria to examine the retrieved materials deployed last week and to witness the dispatching of materials according to local government areas (LGAs). This is ongoing at the moment and is expected to be completed today Tuesday, February 19, 2019. “The movement of materials to LGAs for batching according towards and polling units shall take place on Wednesday and Thursday, February 21, 2019. A11 Registration Area Centres (RACs) are to be activated by 9.00am on Friday, February 22, 2019. Personnel and materials should be at the RACs by mid-day on Friday, February 22, 2019. “Refresher training for ad hoc personnel should take place at the RACs on Friday, February 22, 2019. Personnel and materials must arrive at the polling units latest 7 am on Saturday, February 23, 2019. The opening of polls nationwide will take place at 8 am on Saturday, February 23, 2019. “You would recall that in my address to stakeholders, I mentioned that we intended to reschedule the elections for just 24 hours to enable us to deliver the final batch of sensitive materials for the elections. However, our ICT team notified us that it would require more time to reconfigure the Smart Card Readers (SCRs) in time for the elections. The Indepedent National Electoral Commission has formally suspended 205 personnel of the commission for allegedly receiving part of the N23bn alleged to have been disbursed by a former Minister of Petroleum Resources, Diezani Alison-Madueke, ahead of the 2015 general elections. 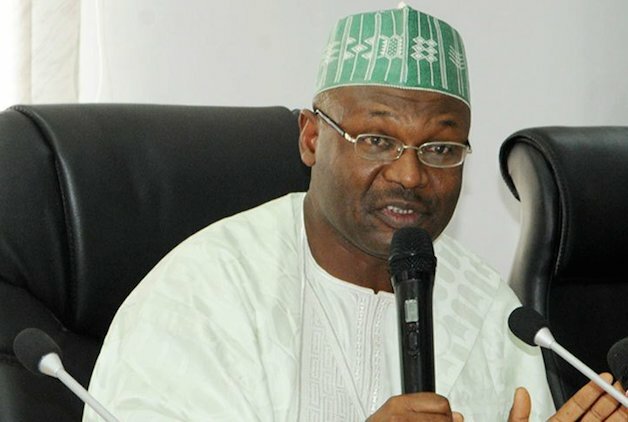 A National Commissioner and member of the Information and Voter Education Committee at INEC, Mallam Mohammed Haruna, who briefed journalists after a meeting of the leadership of the commission on Tuesday, said the commission also decided to place the 205 affected officials on half salaries in accordance with the terms and conditions of service of the commission. Haruna said the commission had referred the cases of a former National Commissioner and five former Resident Electoral Commissioners (one late) to the Presidency and the EFCC for further action and investigation. According to him, the decision to refer the national commissioner and the RECs to the Presidency and the EFCC was because it was not within the powers of the commission to deal with the cases involving them. The PUNCH had reported exclusively in its March 26, 2017 edition that the leadership of the commission had placed 202 inducted staff of the commission on suspension and half salary for allegedly receiving part of the N23bn alleged bribe. Also Sunday PUNCH had reported exclusively that the commission had written the Presidency over the indictment of some RECs in the 2015 electoral bribe scandal in its April 3, 2017 edition which was confirmed in the briefing on Tuesday. “The committee’s work was thorough and painstaking, involving issuance of queries to the 202 officials mentioned in the report and interviewing them individually in accordance with the principle of fair hearing and in consonance with INEC Staff Conditions of Service. Haruna added that a non-governmental organisation identified as West African Network of Election Observers made up of retired INEC officials was used to bribe INEC staff to influence the outcome of the 2015 general elections. He stated also that the committee was able to establish that INEC staff received N3,046,829,000 in 16 states of the federation to influence the outcome of the election. He stressed that a decision was taken to refer the 70 members of staff to the EFCC because of insufficient information on their involvement in the scandal. However, he refused to mention the names of the retired national commissioner and five RECs alleged to have colluded with the NGO to pull through the bribe. He explained that the ex-officials of the commission were deemed innocent until after their prosecution. He said the NGO involved in the scandal had been barred from all INEC activities. The Independent National Electoral Commission has said preparations towards the 2019 general elections are in top gear, stressing that it would not allow itself to be distracted by the Rivers State Governor, Nyesom Wike. The Chief Press Secretary to the Chairman of INEC, Mr. Rotimi Oyekanmi, in a telephone conversation with our correspondent on Monday, urged Nigerians to dismiss the claim by Wike that the commission was not preparing for the next general elections. Wike had said in an interview with Sunday PUNCH that public institutions like INEC lacked the expected trust, insisting that the commission was only engrossed in a jamboree to deceive Nigerians and to spend money. The Rivers governor had argued that INEC should use the card reader for all elections rather than use manual accreditation where the card readers failed. “If we want to get election right in this country, INEC must say where the card readers do not work, elections should be held the next day. “Nigeria should provide the funds. We should not do the wrong thing because of fund. Some argue that this thing is also done in advanced countries, but they forget that those places have established institutions and there is trust also. Here, there is no institution and there is no trust. “In 2019, let me tell you, and mark this day, INEC is not prepared for any election. What they are doing is a jamboree to make sure that they are spending money. They can’t deceive me,” Wike had said. Reacting, however, Oyekanmi said Wike was not someone that could be taken seriously on an issue of national importance. He said contrary to Wike’s claim, INEC was making preparations for the 2019 elections as shown by the recent validation of its Strategic Plan by stakeholders in the society. Oyekanmi stated further that as part of the move towards 2019, the Federal Government had appointed 27 Resident Electoral Commissioners while the Senate passed the amendments to the Electoral Act. He stressed that the commission was focused on its preparations for the conduct of the next governorship election in Anambra State and could not afford to be distracted. He said, “The Rivers State Governor is entitled to his opinion and I think Nigerians know him too well to take him seriously on any issue of national importance. “But as far as INEC is concerned, our preparation for the 2019 general elections is on course. Stakeholders have just validated our Strategic Plan. The Federal Government recently appointed 27 Resident Electoral Commissioners and the Senate, thank God, has also just passed the amendments to the Electoral Act.